Fyle's official product blog on travel and expense management tips, tricks, and best practices. With digitalization and globalization, we have seen a rise in cross-country associations and dependencies. Blurring geographical boundaries, organizations now seem to function as a single unit. Though most aspects seem simple, there are yet a few challenges businesses face while dealing with a global employee base – Expense Management and an Expense Tracking Software that allows for a seamless and streamlined process. 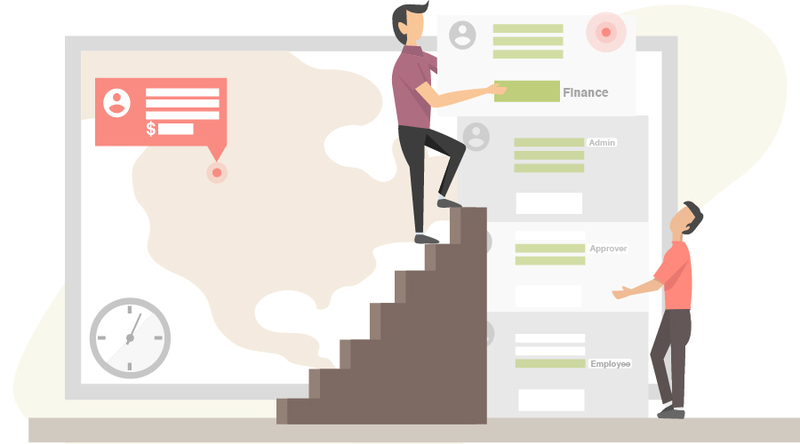 Trying to tackle these challenges, admins, and finance executives are often burdened with keeping track of spends, hovering over multiple dashboards, constant back and forths with employees due to policy violations and the list goes on. At Fyle, we have built our feature “Cross-Organization Workflows,” to address this very challenge. Now, you can effortlessly manage spends recorded across countries, gain insight into spending trends, manage approvals and more. We assure you, managing fyled expenses, couldn’t get easier! 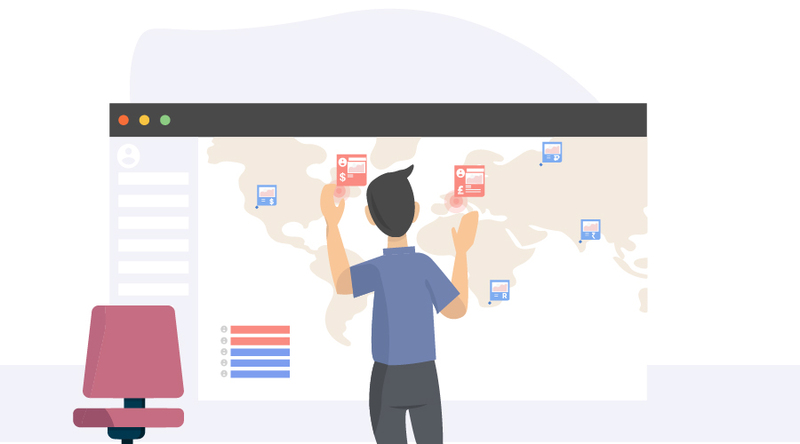 Manage and track employee spends, spread across the globe using a single dashboard, based on different policies, currencies and more. Setup custom approval hierarchy for expense reports and trip requests and manage approvals effortlessly. Allot sub-approvals to simplify the tracking process. Finance executives can gain insight into analytics, settlements, spending trends, policy violations and more across countries they function in. Have the presence of a digital audit trail, irrespective of region or number of individuals involved in the process. Craft policies and customize them to make fyling expenses employee friendly. Most expense management software are custom-designed to help businesses when spread across different cities within a country. This means admins can look into expense reports, gain insights into spends and more under one dashboard. Handling employee spends across countries can be a task by itself. Add to this, variables such as multiple currencies, approvers, processes and policies. In these cases, the most common sort of challenges faced is delayed reimbursements, increased policy violations, and utter confusion. In most expense management systems available in the market today, they consider different countries as different organizations. This makes it only harder for admins to keep track of expenses and reports. Though most accounting software allows for admins to manage expenses recording across countries, they are still required to hover over multiple dashboards. Different country entries are accessible through separate dashboards. But, these open up a whole new set of challenges that admins are forced to deal with. A generic expense management software allows you to manually input expenses, review and approve expenses and a host of other basic features. These features, however inconvenient allow for a somewhat decent functioning. But the actual problem arises when these admins or approvers have to deal with globally traveling employees. This is when admins need to hover over multiple dashboards to gain insight into the state of expense management in their organization. Add to this, variables such as country-specific accounting systems, currencies, currency conversions, varying expense policies and more. You know, this spells trouble. Hours of productive time wasted in compiling, printing, validating and managing fyled expenses. With Fyle, you would no longer need to bury yourself under piles of receipts and printed spreadsheets. Admins and finance teams can access claimed spends, details on flagged expenses, a complete digital audit trail and more under one dashboard. Often employees may require approvals on business spends for which the approver may have little to no insight. Most companies also have different hierarchies of approvals. This not only makes it a time-consuming process, but also leaves immense scope for delayed turnaround time for reimbursements, increased policy violations, and fraud. Additionally, policies that are set up in a particular “org,” that the reports belong to will still apply to the new “org.” Thereby, increasing policy compliance, awareness, and transparency. With Fyle, you can customize and automate policy checks, the hierarchy of approvals, and increase accountability and transparency within the organization, irrespective of the location. Gaining insight into spending trends, reports and overall visibility irrespective of the countries expenses are fyled from, is something that most expense management software lack. Often, it is time-consuming and requires multiple follow-ups to close the reimbursement process for employees. Fyle allows for admins and finance teams to get real-time updates on expenses fyled, expenses flagged for policy violations and more. Organizations like Capillary Tech, Solar Home, and Impraise are some businesses that use this feature to handle a global employee base. How can Fyle address your expense management challenges? We simplify the way your business sees expense management, with the “Cross-organization Workflows” feature. Now, businesses can sit back and relax, when the world’s first system to solve this challenge, does the thinking for you. The chaos multi-level/ multi-org spends cause, can be avoided with the use of Fyle’s feature. This feature allows for a seamless approach to tackling expense management related issues, irrespective of the country or accounting system, you use. User requirements have always paved our product roadmap. We want you to handle your expense management processes as easy as getting on a call with someone in any corner of the world. You can also gain insights into spending trends with our expense analytics, enable cross-org approvals, craft and customize policies, increase transparency and more. With Fyle, you will no longer need to worry about the locations from which your employees are fyling expenses. Are you ready to do more than just fyling? Streamline processes, stay audit-ready, reduce the turn-around time for reimbursements, ensure employee satisfaction and more! Start your free trial today and reimagine expense management with Fyle!